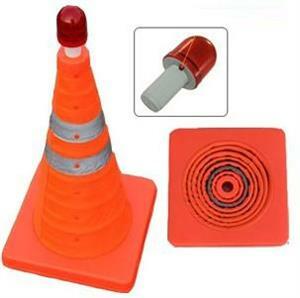 20" collapsible traffic cone with LED light on the TOP. 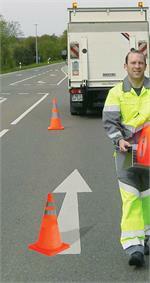 Improve roadside safety for your Adopt-A-Highway group or when you have to change a tire. Reflective stripes. 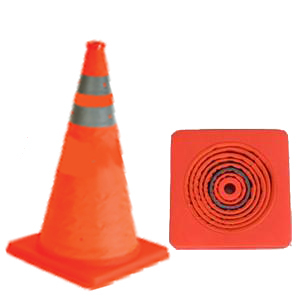 Collapsible cone (18") and top light (2") are also sold separately. LED light may be set to blink, shine continuosly, or off. Batteries are pre-installed. Each cone has a heavy base and weighs 4.5 lbs each. I bought 2 of these to add to my roadside kit. They were well packed, and described and got here very quickly! The lights can blink of be turned off. Will definitely buy more! Ordered 2 of these to add to my road side kit if I break down. 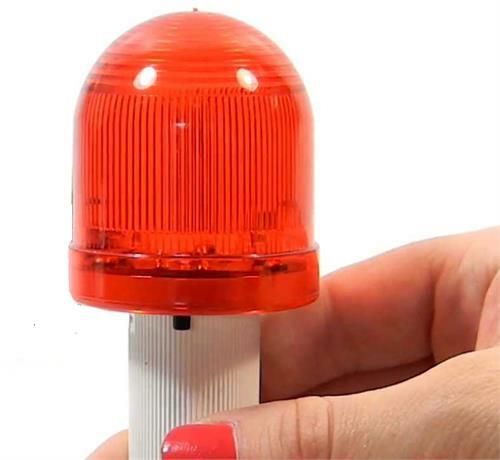 Very durable product with bright red LEDs. Came as described and arrived very quickly! Will probably order some more in the future!